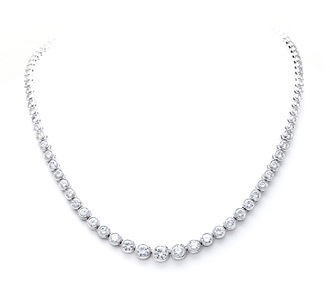 This graduated diamond necklace features a continuous strand of sparkling diamonds. With a large center stone measuring 5/8 in. in diameter, this exquisite classy piece of bridal jewelry is sure to be a show stopper. 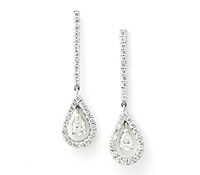 Diamonds: 12.00 TW | Gold: 18K White | 16 in. | Width: 1/4 in.